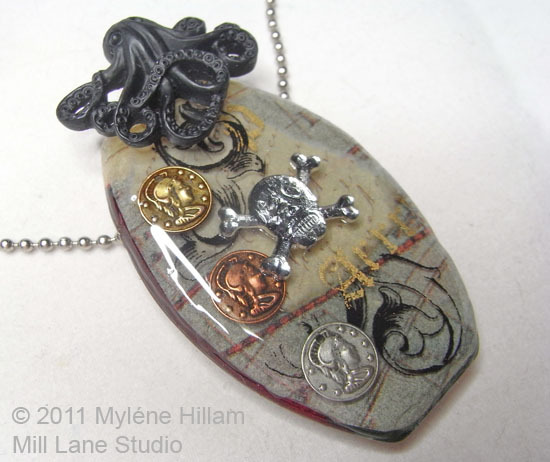 Mill Lane Studio: Aarrrr, Me Hearties! Ahoy, maties, it's International Talk Like a Pirate Day. And in honour o' the occasion I offer ye a glimpse of some piratey treasure. Now ye might be askin' why do we need t' talk like a pirate? Well the answer is, we don't, but it's fun t' do it anyway! Aaarrrr! Love this Mylene. Mighty cool matie. Thanks Terri, me matie! Aarrr!